Queens of Hip-Hop Final Showdown – The global community for audio culture. We’ve teamed up with The Doctor’s Orders to help uncover the best female hip-hop deejay in the UK. 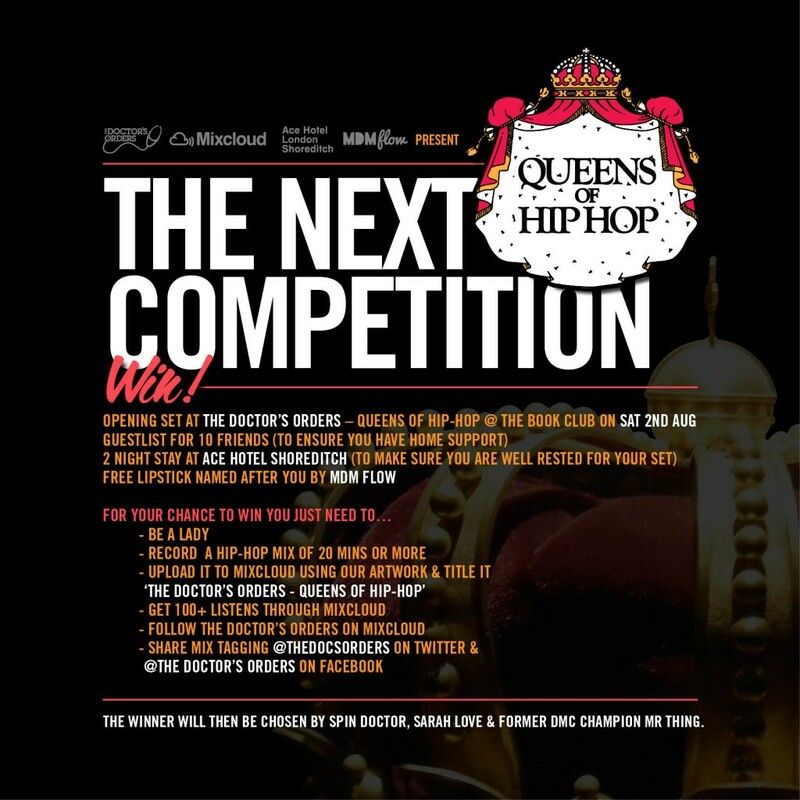 It’s been well publicised that the hip-hop world leans itself closer to the male population so it’s refreshing to see that the finalists for ‘The Queens of Hip-Hop‘ competition brings in five strong finalists who are budding for a chance to play at the The Book Club in Shoreditch. Pick you favourite below and help support the ladies by playing, favouriting and sharing their uploads!